Stay-at-home parents of young children would understand when I say that even though I considered myself lucky to be able to stay home with my children, it can be enormously tedious at times, what with the household chores, cooking, feeding, changing, and comforting cranky babies and toddlers. I needed an outlet for my artistic expressions to reclaim sanity, a sense of self, and serenity, so it was natural that I defaulted to writing and drawing. You might be rolling your eyes right now because really? That’s a lot to want when you have two snot nose kids under five years old underfoot, undoing the laundry that you just folded. I felt this same way, but I decided then in 1992 that parenthood is a marathon, not a sprint, and the heck with some of the chores because if I wasn’t happy, nobody was going to be happy in my family. Am I not right? Do you feel me, parents? Some days you just had to say, I’ve got to just sit somewhere for an hour, alone, and self-indulge as an adult. Don’t get me wrong. I adore my children, and as a testament to this assertion, we now have two millennial with solid career and business, and yet they still volunteer to vacation and spend holidays with their parents, the poor souls! But I digress. I almost forgot what it felt like to change diapers in the middle of the night with my eyes closed. And I nearly forgot how it felt sitting in the rocking chair nursing my kids while nodding off, but I distinctly remember how writing and drawing immersed me in complete and utter contentment, "in the zone," and reconnected to my personal space of peace and fulfillment. 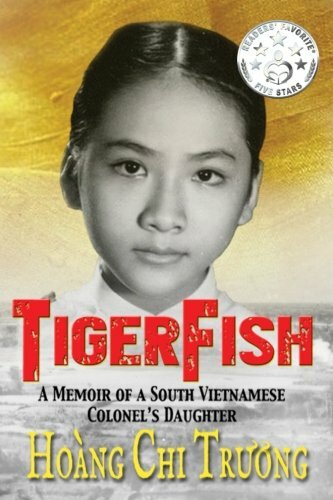 I wrote many stories then, one of which got published this year as my memoir TigerFish. Many more stories might eventually make their way to print to entertain readers besides my children and families as the captive audience. I'll let you in on a secret; I listened to NPR all day long at home while I tended to my children. I continued to tune into the same stations when I drove the kids around town doing errands. The Public Radio's styles of descriptive and in-depth writing affectionately wormed their way into my consciousness, and I wanted to write this way. I wrote short stories or snippets of commentaries of my daily observation and experiences while the kids napped, played, on in schools. My writings mostly based on real-life events except for this children’s story, No Ordinary Sue. The characters in the story were fictional. However, the story was inspired by a historical flood event in Northern California in 1997. While riding in the car on our way home on the River Road near Clarksburg, we spotted the pumpkins floating down the Sacramento River. We've seen wildlife like sea lion eating salmon in the river several times, but we've never seen whole pumpkins in the rushing currents, on their way to the sea. That afternoon when the kids napped, I recorded this story on a yellow legal pad, put it away and forgotten all about it. The main character Sue was a disaster refugee pumpkin who got washed down the river, away from the foothill farms of the Sacramento area overnight. She first realized that she was removed from her home when she woke up in the middle of the Sacramento River near Clarksburg. She was a timid pumpkin, and she was scared at this point until her neighbor friend joined her. On the journey out to sea, the two friends worked together, making it an exciting adventure while helping others in need along the way. Sue discovered the strengths and confidence she didn’t know she had from selflessly serving those who looked for help. It’s a story of self-discovery, compassion, and the willingness to go out of one’s comfort zone to achieve their goals and dreams. It highlights the importance of each member of a community could work toward the resiliency of its population during natural or human-made disasters. A children’s book must have adorable illustrations, and initially, I planned to hire an artist but while on New Year’s vacation in 2016, I brought along my brand new iPad Pro and started doodling on the FiftyThree app, there and then Sue was born. 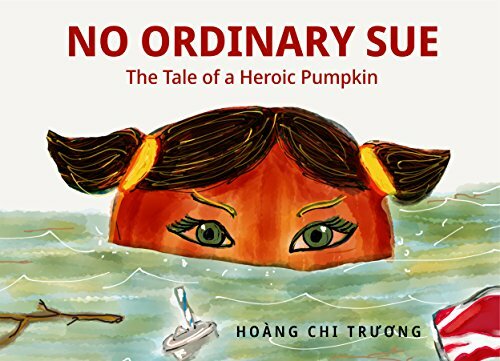 I told my friends that I didn't have the time and would look for a professional for this job but everyone protested, and as a result, I am the author and illustrator of No Ordinary Sue. The Kindle version is on scheduled to launch on December 7th, and the paperback version is available for pre-order on Amazon. Look also for the Vietnamese-English bilingual release in early 2018. I feel compelled to publish a bilingual book that I wished I had for my children and now I want to work on filling that gap. Multi-lingual parents are underserved and underrepresented in the children's book market, especially for the Southeast Asians living in the U.S. like myself. I want to change that and believe that an ample supply of Vietnamese-English children’s books would help parents, providers, and educators in teaching kids their bilingual language skills. My Beta readers and Advanced Readers read the book to their kids and gave me exceedingly positive feedback and praises. They loved the message of the book and adored the bright, happy colors. They exclaimed that the illustrations are “stinkin’ cute” of Sue, the mice, the boy’s family, and the sceneries. Each drawing depicted a critical moment in the story. The takeaway from my story is not to feel guilty about taking time out for yourselves. It's called self-care not selfish. None of your artistic expression goes to waste, even the doodles and the snippets of stories can someday turn into books or illustrations. And if they don't, they have already helped empty your mind and release your tensions. To this point, indulge and reclaim your ‘selfness’ and identity with hobbies that keep you sane and content. If one day, you should want to turn these hobbies into the profitable, marketable and tangible product, then it’s frosting on the cake. I didn’t write in 1992 with the intention to publish. I wrote because I felt compelled to do so for a better understanding of myself, of those around me, and for my bi-cultural identity. Thank you for sticking around to learn the back story and behind the scenes for No Ordinary Sue. Again, the Kindle version will be available on December 7th, and pre-order is available for paperback on Amazon. In Gratitude and Happy Holidays From Our Family to Yours! Jul 17 Brutally Honest - An Indie Author's Tips and Lessons Learned for Success!